An increasingly popular choice for homes and businesses around Australia, polished concrete floors are extremely durable and made to last, enduring years of wear and tear, while remaining as polished and as brand new as ever. 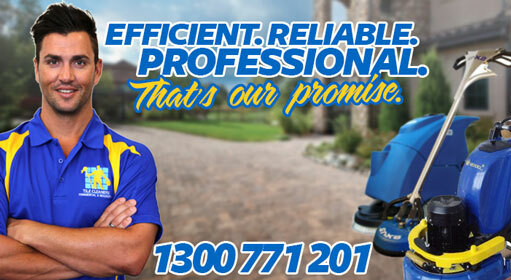 Want a floor that looks amazing, is easy to clean and durable? 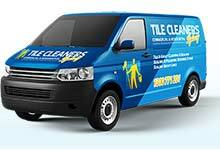 Tile Cleaners Sydney® is Australia's leading surface care provider, specialising in the restoration and maintenance of all natural and man-made surfaces. We should be your first choice for all concrete refinishing (concrete polishing, concrete grinding and sealing), whether it be a residential kitchen, lounge, bar, restaurant, shop or factory floor. Polished concrete is fast increasing in popularity, not only for its clean, sleek, and modern appearance, but for its cost effectiveness, sustainability, durability and health benefits. Our technicians have extensive experience polishing existing and new concrete using our advanced equipment to suit your polished concrete requirements. 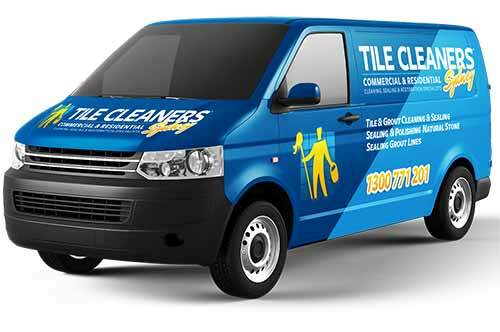 Tile Cleaners Sydney® have the tools, skills and quality equipment to tackle all concrete floors, from industrial warehouses; to food and medical grade processing facilities; to retail and commercial office floors. Concrete in most cases will not conjure thoughts of beautiful and aesthetically appealing environments, still we use concrete almost without exception in all buildings we construct. Concrete has been around for centuries, the Romans widely used concrete to build some of their most impressive constructions (the Pantheon in Rome was built around 120AD and is still the largest unreinforced concrete dome in the world). Around the Mediterranean, aqueducts, drainage systems and amphitheatres built using concrete 2000 years ago can still be found. It wasn't until the 1990s however that concrete was discovered (by accident) to produce the highly durable and attractive surfaces we know today. Long relegated to life as a sub-floor, concrete slabs have been hidden under flooring materials such as carpet, hardwood, vinyl or ceramic tiles. But why waste money and resources to add another layer of flooring when you can simply leave the concrete exposed? When considering the life-span of an overlayment, the process represents expensive installation, ongoing maintenance and eventual replacement costs, however in all circumstances the underlying structural concrete remains. Polishing concrete eliminates the need for overlayments by converting the actual existing concrete into an economical, durable and low maintenance finished surface with spectacular visual appeal. How does the concrete become so shiny? Concrete polishing is a fast and inexpensive method of grinding and polishing pre-existing concrete surfaces with diamond sharp disks to create smooth, attractive and highly durable flooring. Existing slabs can be ground and polished to create very hard wearing, scratch and stain resistant surfaces that will not chip or peel and are extremely easy to maintain. To achieve a smooth, glossy surface, our technicians start by using grinding machines with rotating diamond-abrasive heads to remove the surface layer of the concrete in order to level the floor and remove any deep scratches. Following the initial stage, finer diamond-abrasives are progressively used (usually starting at 40 grit going up to 3,000 grit) to reveal or expose the aggregate within the slab (new or existing slab). Typically, concrete is not considered polished before 400 grit which is known as honed concrete, polished concrete is normally finished to either the 800, 1500, or 3000 grit level depending on the shine and reflection specified. Polished concrete is measured in grades and finishes: the higher the grade, the larger the exposed aggregates; similarly, the higher the finish, the shinier the polish. At one stage during the grinding process, sodium silicate is applied to the concrete in order to increase its density, or harden the concrete. The sodium silicate solution is absorbed into the concrete, filling the pores. A chemical reaction then occurs with the calcium hydroxide in the concrete further strengthening and crystallising the material. Because polishing is a multi-step process, you can choose the level of sheen from satin to high-gloss, that meets your maintenance and aesthetic requirements. This versatility makes polished concrete an ideal flooring material for a variety of applications. Cost Savings: Polished concrete is extremely inexpensive! Polished concrete offers great design versatility and advantages compared with traditional flooring. It can be customised to your preferred degree of finish, from a low to high gloss look. Polished concrete can also be resurfaced easily and simply carpeted over, and unlike carpet, won't trap dirt or allergens. Whether you have an existing facility or are building a new one, we can improve the look of your premises and save you money on maintenance. A high quality, low maintenance and durable floor can be an asset to your business. If you're installing a new concrete floor, the choices of textures, colours, and finishes are nearly limitless. Texture and finish are determined by the grade of concrete used, how it's poured, and the polishing process. Colour can be introduced in several ways: Pigment can be mixed into wet concrete to achieve any desired colour (coloured aggregates, too, such as stones, marbles, and pieces of glass, can be added), or an acid- or water-based stain can be used to colour dry concrete. Polished concrete can range from a paste polish, where the final colour is uniform with no aggregate visible, all the way to a deep polish where large aggregate is exposed, closely resembling terrazzo. This is a very popular style that simply polishes the cream at the top level of the concrete not exposing any of the sand or aggregate. A cream polish will give you the smoothest and most consistent sheen possible, which is easy to clean and maintain. Cream polished concrete finishes can range from low gloss matte to a high gloss mirror finish. This look has a fine aggregate exposure and is produced by removing a very thin top layer of the concrete during the initial grinding process to expose some of the sand aggregate. The exposed sand resembles salt and pepper and provides a nice colour accent to the concrete without the addition of stains or dyes. Medium exposure to reveal the top side of the aggregates. This concrete floor style has a light aggregate exposure with little to no large aggregate exposure spread randomly. Heavy exposure to reveal the maximum size of aggregate. This finish has a large aggregate exposure with little to none fine aggregate exposure which is spread randomly. Concrete floors are ideal for passive solar home designs. Concrete floors shielded from the sun will stay cool for longer and can actually help lower air-conditioning costs, conversely in the cooler months concrete floors will absorb the heat from direct sunlight and release the stored heat as needed at night to keep rooms warmer. Polished concrete floors are low maintenance, more hard wearing and more likely to withstand pressure than other flooring options, they do not require aggressive cleaners or brushes to lift dirt away. Mopping with warm soapy water once a week is the only maintenance required. A concrete floor that has been hardened and polished has an extremely long life expectancy when compared to other flooring. For example, standard floor coverings may only last 10–20 years, but a polished concrete floor that has been properly maintained can easily give 100+ years of service. 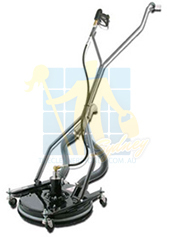 If your polished concrete is situated in a large work space or puplic space, an auto-scrubber can be used with super soft brushes and a gentle cleaner designed for polished concrete, to suspend dirt off the floor and squeegee it up. 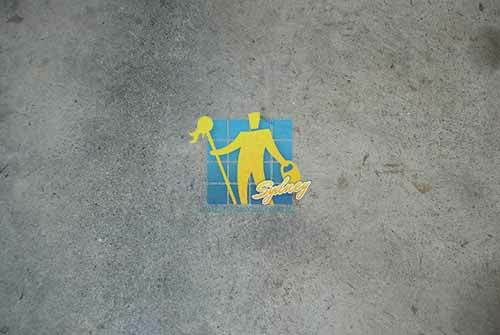 Concrete floors are more enduring and easier to clean than many flooring options. 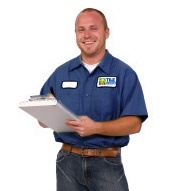 A well maintained, regularly cleaned concrete floor will last for decades.